The Slits line-up was the late Ari Up on vocals, guitarist Viv Albertine, Tessa Pollitt on bass and (soon to be Banshee) Budgie on drums. I think Neneh Cherry, Don’s daughter joined them for the tour. Ari Up was a crazy wild front lady, complete with dreads, outlandish outfits and nifty dancing. From the programme: “This is simply what’s happening…..what’s happening here is real music played by people from three different cultures. Three different musics united by one expression – freedom. Sadly, with no massive audience draw on the tour, attendance was not great. 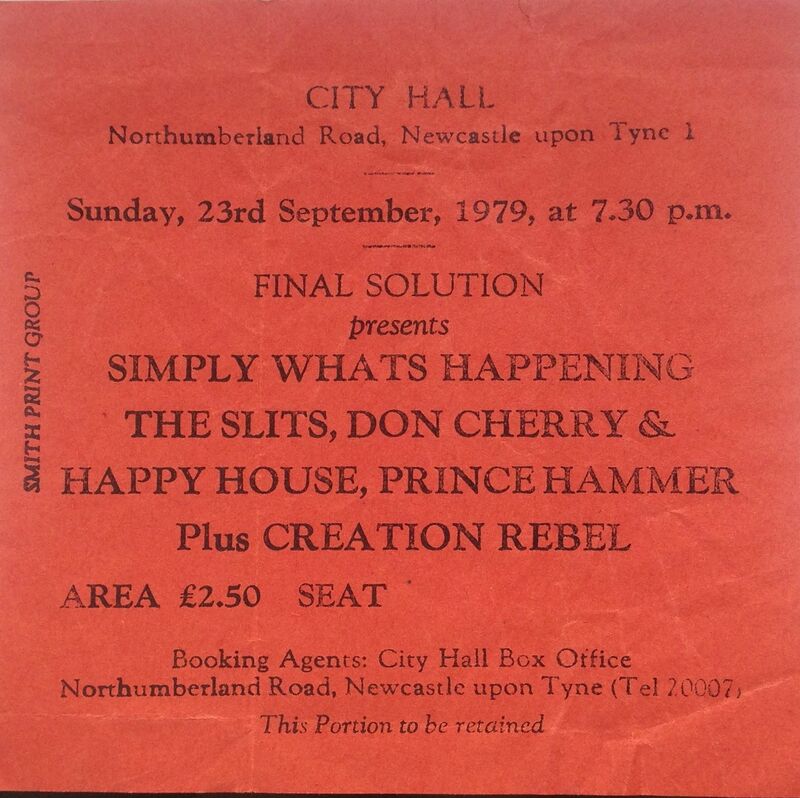 The Newcastle show was very poorly attended with only a couple of hundred people in a hall which holds 2,400. Pity, because this was an interesting evening with some different and challenging music. 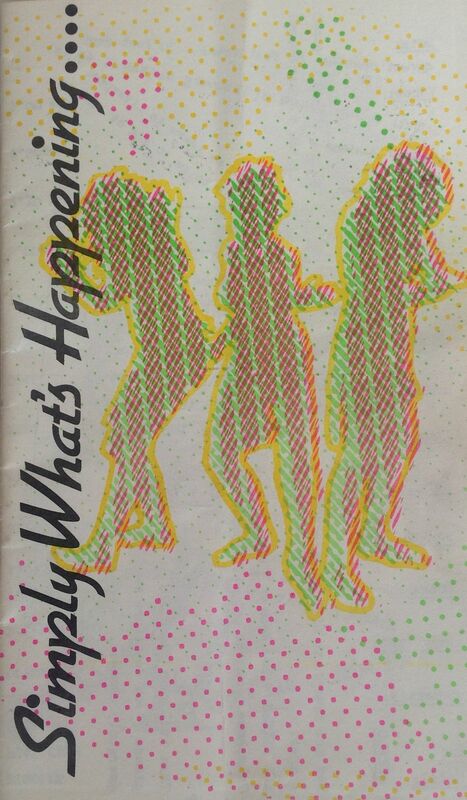 The programme (pictured here) is also very different and contains some scribbly doodling artwork and slogans, presumably drawn by one or more of the band.